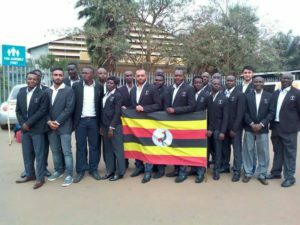 Uganda senior men’s Cricket team, the Cricket Cranes has intensified their preparations for the upcoming ICC WCL Division 4 in Malaysia later this year. In a bid to better the Cricket Cranes chances at the tournament which takes place in April, the Uganda Cricket Association has organised tour matches which will see the National team play in the fast-emerging Qatar nation and the number one ranked India. “We set you to go out there and please make sure that our flag flys as high as possible. Said Ssemakula. “Don’t take this trip lightly and all i ask is you all play your hearts out. The team will play three T20s and two ODIs in a week. The first game will start this Thursday 8th February and the last on 13th. Sanjay Cricket Farm will host the team where they will play four limited overs games and two T20s. These will be against selected teams by the hosts, the first game is on February 16th and last on Thursday the 22nd. The team is going to be captained by Roger Mukasa and assisted by Brian Masaba. Steven Wabwose and Emmanuel Isaneez will also beef up the team for the Indian tour. 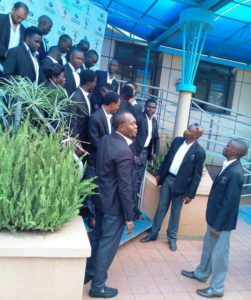 Roger Mukasa, Hamu Kayondo, Zephaniah Arinaitwe, Simon Ssesaazi, Lloyd Patternot, Deus Muhumuza, Brian Masaba, Frank Nsubuga, Kenneth Waiswa, Irfan Afridi, Riazat Shah, Fred Achelam, Henry Ssenyondo, Charles Waiswa, Trevor Bukenya, Bilal Hassan.